Fleurieu Peninsula provides a range of interesting dive sites, an opportunity to see rare marine life and prolific fish with some sites accessible from jetties and boat ramps. Rapid Bay Jetty is renowned for its leafy sea dragons. Other sites require a boat to gain access. 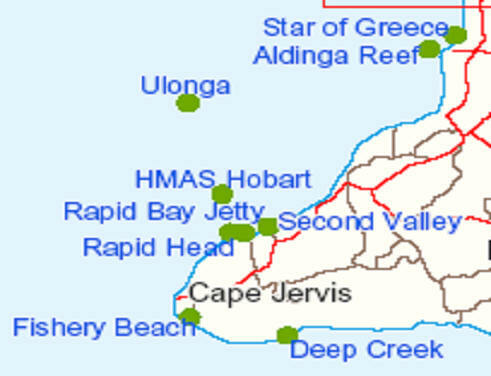 Several wrecks are sunk along the Fleurieu Peninsula, including the ex-HMAS Hobart.